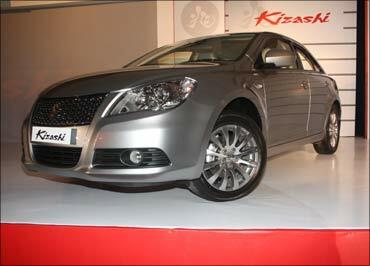 Rediff.com » Business » The stunning Maruti Kizashi is here, at Rs 16.5 lakh! 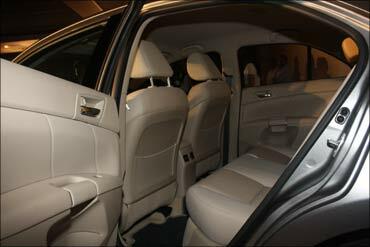 The stunning Maruti Kizashi is here, at Rs 16.5 lakh! Maruti Suzuki India Limited, the country's largest car manufacturer, on Wednesday unveiled its luxurious and sporty sedan, Kizashi, at an introductory price of Rs 16.5 lakh (Rs 1.65 million) for the manual transmission version. 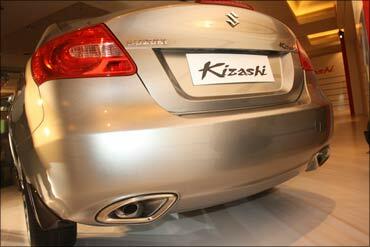 The Kizashi marks Maruti Suzuki's entry in the premium luxury sedan segment in India. It is manufactured at Suzuki Motor Corporation's Sagara plant in Japan and will be imported into India as a completely built-up unit (CBU). After its launch in Japan in late 2009, the Kizashi was introduced in the United States. 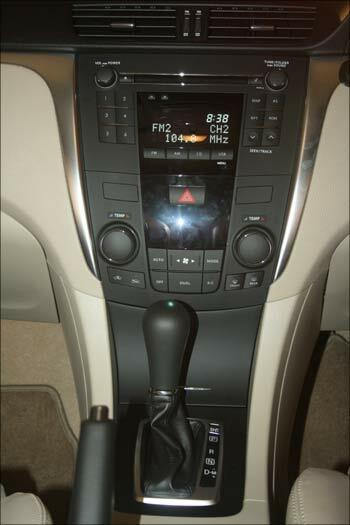 The car would be available in two variants, manual transmission and automatic transmission. 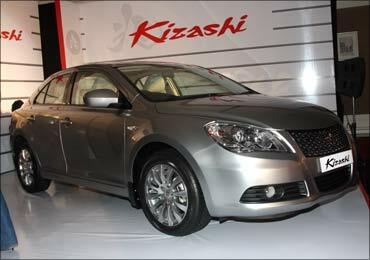 The Kizashi 6-speed manual transmission (MT) variant is priced at Rs 16.5 lakh (Rs 1.65 million); while Kizashi Continuous Variable Transmission (CVT) will cost Rs 17.5 lakh (Rs 1.75 million). 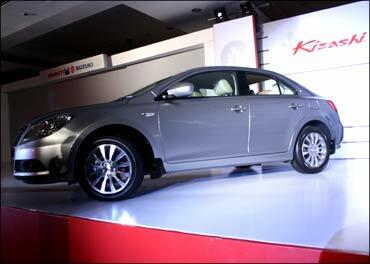 Those aspiring to buy the Kizashi can book the car at an initial deposit of Rs 50,000 at any Maruti Suzuki dealer immediately. 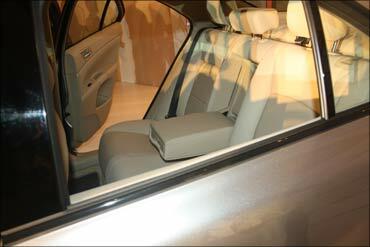 The deliveries for Kizashi will begin in March 2011. Kizashi delivers a sporty performance thanks to its powerful engine. 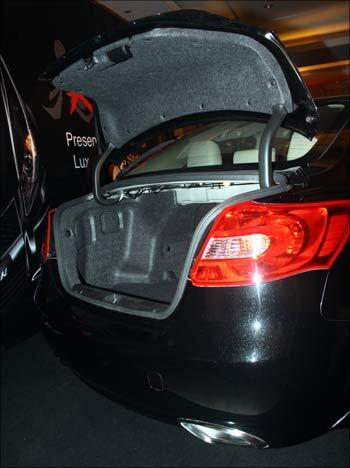 The agility and performance is well complemented with a sporty look and profile of the Kizashi. With the array of top-end features Kizashi compares well with the premium luxury sedans in higher segments. The imposing front grille, compact and sleek exteriors coupled with exclusive interiors makes Kizashi stand tall among competing brands. The Kizashi aptly reflects the sporty DNA of Suzuki Motor Corporation in the styling and performance. The Kizashi is powered by the celebrated 2.4 litre DOHC J-Series engine that ensures potent performance (maximum output: 178 PS @ 6,500rpm and a maximum torque: 230Nm @ 4,000rpm) while at the same time offering excellent fuel efficiency of 12.53 kmpl (CVT) and 12.45 kmpl (6-speed MT). The Kizashi will be available in Snow White Pearl, Super Black Pearl and Premium Silver Metallic colours. 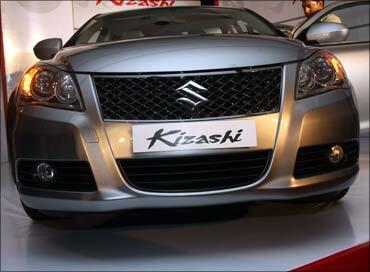 A Maruti media release said that the performance and handling of the Kizashi shall reflect the benefits of testing and tuning conducted in diverse conditions around the world. 'Kizashi has been tested in some of the most extreme conditions, like cold-weather trials in Minnesota and hot-weather trials in Death Valley, USA. Kizashi's handling has been honed on challenging country roads in the United Kingdom and on autobahns in Nurburgring, Germany,' the release added. Kizashi has been developed with special emphasis on combination of sportiness and elegance in its design, smoothness and quietness befitting a vehicle in this class and superior engine performance and fuel efficiency. 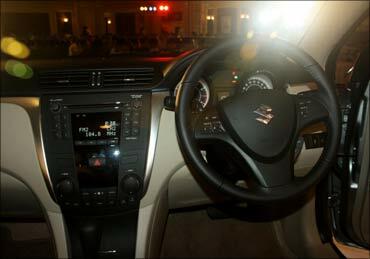 At the launch, Shinzo Nakanishi, managing director and CEO, Maruti Suzuki India said, "The Kizashi is a major step forward for Maruti Suzuki. With the launch of this luxurious sporty sedan, Maruti Suzuki is able to offer an international car to top-end customers in India." "I am delighted to note that most previews by auto experts here have been positive, appreciating the Kizashi's stylish looks, sporty performance and luxurious feel. We are fully geared to delight customers in a segment where we have been absent so far," he added.